We’ve got something exciting for our Partners: Using location data stored in the Uberall Location Marketing Cloud you can create unique, beautiful Mono websites for locations with just one click. Seize the new channel opportunity to expand your service portfolio. You can now offer your customers professional websites based on Uberall location data. This makes the data basis for your website consistent with directory, map and navigation entries throughout your customers’ Listings Network. Thanks to the integration with Mono, the top advantages of our Location Marketing Cloud are now also available for websites: Uniform branding and data consistency across all platforms, and complete web presence in directories, maps, navigation and social media, as well as higher visibility for local search queries in search engines like Google. The new interface is available right away and can be activated and used by common partners in a few simple steps. Uberall resellers can expand their portfolio easily with exciting websites and generate new upsell potential. 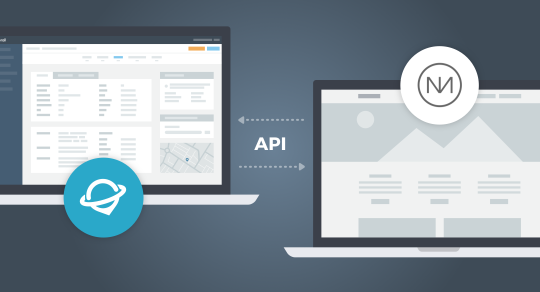 Uberall and Mono, the Danish website developers, share a common API-first principle. This means both companies are focussed on developing their own products to be easily integrated with products from other vendors via interfaces. This approach provides unprecedented flexibility for small and medium-sized businesses to design their web presence. This is where the Uberall Cloud comes into play. With Uberall, companies manage and optimize their presence in directories, maps, navigation and social media in real-time. Our partnership with Mono now extends the influence of structured and enriched location data to websites. With strong technology partners such as Mono Solutions, we are continually developing our platform, enabling our partners to provide their customers with the most effective cloud solution for digital location marketing. All SMB service providers who are partners of both Mono and Uberall can use the integrated services. Please contact Bernhard Friedrichs, VP Partnerships at Uberall at partner@uberall.com or Head of Global Sales in Mono Solutions Tricia Score at tjs@monosolutions.com for more information.